The Town of Emerald Isle is currently accepting bids for the Phase II - Disaster Debris Removal Contract for the Storm Seasons through June 30, 2021. Bidders’ Instructions and Proposal Forms may be obtained from the Town Administration Building located at 7509 Emerald Dr., Emerald Isle, NC, or by contacting Ms. Rhonda Ferebee, (252) 354-3424. Sealed bids will be addressed to “DEBRIS REMOVAL CONTRACT” at 7500 Emerald Dr., Emerald Isle, NC 28594. Deadline for submittal of bids will be 11:00AM on Monday, April 29, 2019 at which time the bids will be opened and read aloud to the public in a conference room made available in the Town Administration Building located at 7509 Emerald Dr., Emerald Isle, NC. 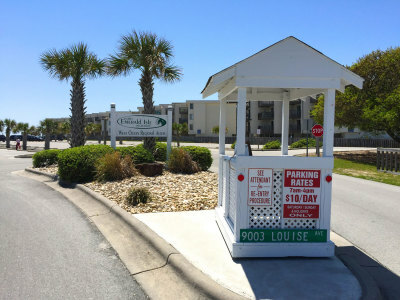 Interested parties are recommended to attend the Pre-bid Conference scheduled at 2:00 PM on Monday, April 22, 2019 in a conference room made available in the Town Administration Building located at 7509 Emerald Dr., Emerald Isle, NC. The Town of Emerald Isle reserves the right to reject any or all project proposals. All bids are requested by April 15, 2019, no later than 11:00 am (EST). The Town will begin charging parking fees at the Eastern Ocean Regional Access and Western Ocean Regional Access on Fridays, Saturdays, Sundays, and holidays beginning Friday, May 17, 2019. The parking fee is $10 per vehicle per day. There is no parking fee on weekdays or at the Town's other beach access facilities at 3rd Street and Station Street. Emerald Isle taxpayers are eligible to receive 2 annual free parking permits for the Eastern Ocean Regional Access and Western Ocean Regional Access. The parking permits are granted only for vehicles registered in the name of the taxpayer and are not transferable. Permits are not available at the regional beach access facilities, and must be secured before attempting to access the facilities. To apply for your permit, please visit the Emerald Isle Community Center or call 252-354-6350. Additional information is available at https://www.emeraldisle-nc.org/application-for-regional-access-parking-permit . Great Lakes Dredge and Dock Company has notified the Town of Emerald Isle that as part of the Eastern Emerald Isle Beach Nourishment Project they will begin receiving trucks and offloading pipe onto the beach at the Ocean Drive “Dog Leg” access ramp (near mile marker 15) effective today, Tuesday, March 26, 2019. Accordingly, the beach will be closed to beach driving beyond the Ocean Drive “Dog Leg” ramp for the duration of the project. The Emerald Isle Board of Commissioners has selected Matthew R. (Matt) Zapp as the new Town Manager. Mr. Zapp will assume his new responsibilities by mid-June, subject to formal appointment and approval of terms of employment in an open Board meeting. "I am truly humbled to be selected as the next Town Manager for Emerald Isle,” said Zapp. “It is my desire to serve the residents, staff and elected officials with excellence. A kindness can be felt throughout the community and I look forward to contributing to the culture of' 'Nice Matters.' My entire family is thrilled about the journey ahead and we cannot wait to call Emerald Isle home." Matt Zapp has served as Town Manager in Benson, NC since 2010. He served previously as Village Administrator of Madison Village, OH, and as a parks and recreation director. Prior to that he worked as a drag racing track manager and a business marketing manager. Zapp earned a Master of Public Administration degree with a concentration in coastal management from UNC-Wilmington, and a Bachelor of Arts degree from the University of Akron. He is a graduate of the Public Executive Leadership Academy and the Municipal & County Administration program at the School of Government, UNC-Chapel Hill. He is a current Board member of ElectriCities of North Carolina and the NC Eastern Municipal Power Agency, and the Johnston County Visitors Bureau. Zapp is a native of Madison, OH and grew up on the shores of Lake Erie. He and wife Haley and their children currently reside in Benson. He is active in their church, and serves as a baseball and soccer coach. His hobbies include running, drag racing and event announcing, and restoring old cars and other items. The Board received 89 applications, considered a number of well qualified candidates with extensive local government management experience, and selected several candidates for interviews. The Mercer Group, Inc., a national public sector executive search and consulting firm with an office in Raleigh, assisted the Board with its search. Mayor Barber said that the Board greatly appreciated the valuable input of citizens and Town department heads about the qualifications, experience and characteristics that the Board should look for in the next manager. “Our consultant produced an attractive and informative recruitment brochure that included those criteria, and we used those as a guide in making our decisions,” Barber said. UPDATE: The NCDOT guardrail installation project planned for the Emerald Isle high rise bridge and originally scheduled to be completed in March, 2019 will not commence until after Labor Day 2019. To avoid traffic impacts during the upcoming tourist season, NCDOT officials have confirmed the project will not be pursued at this time. NCDOT now expects the project to begin after the Labor Day holiday. The project was contracted and announced in December, 2018 and scheduled to begin after the holidays in January, 2019. The work was planned to be completed on weekends in the evening hours as weather permits. It is still expected that a weekend schedule will be utilized when the project is rescheduled. The safety project remains under contract with completion stipulated by November 2020. Please contact NCDOT’s New Bern office at 252-514-4759 with any questions. Original Post from 12/2018: NCDOT's contractor will work on the Emerald Isle bridge substructure repairs, and installation of new guardrails every weekend through March, as weather permits. Their work will involve a lane closure that will be used regularly over the weekends from approximately Fridays at 6pm through Mondays at 6am. NCDOT may also as needed close one lane on weekdays between the approximate hours of 9pm and 3am. Between now and March you should plan on allowing extra time in anticipation of possible delays due to lane closures. Traffic will be reduced to one lane, with flagmen in place on the bridge. Expect delays during this time! Thank you for your patience as NCDOT contractors work to maintain and improve this essential infrastructure for Emerald Isle! Please contact NCDOT's New Bern office at 252-514-4759 with any questions. 28th Annual Emerald Isle St. Patrick's Festival This Weekend! There's no better way to spend a beautiful spring weekend than at the annual Emerald Isle St. Patrick's Festival! Emerald Isle's signature event is back for its 28th year, gets started on Friday night, and continues all day long on Saturday! Kids rides will operate from 5 pm - 10 pm on Friday night, with the purchase of an arm band. Come back on Saturday for all the traditional live music, kids rides, arts and crafts vendors, specialty foods, beer tent, and much more from 9 am - 6 pm! The weather is expected to be nice in Emerald Isle this weekend, with temperatures in the 50-60s forecast for Saturday. Bring your family and friends, and head to the beach this weekend!